Upfitting—the process of adding specialized equipment to fleet vehicles—can be a complex process. While some equipment can be installed by the manufacturer, today’s expectations for specialized fittings usually require a specialist. At Foss National, we maintain a network of proven, respected partners in upfitting, each with specific expertise. We will work with you to select your OEM vehicles and upfit packages, and then to choose the upfit vendor. We will manage the details of the upfitting process, from OEM delivery to the vendor, to quality control, scheduling and delivery, so that your vehicles arrive equipped and configured to your precise requirements. We take of the details and coordination, so you can take care of your business. Should you buy your fleet from a dealership or order from the factory? 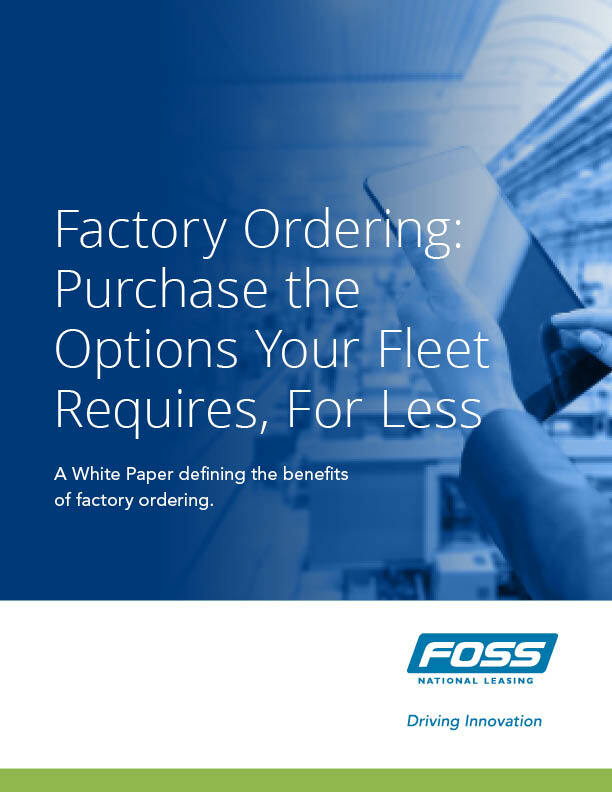 This paper shows how to plan your factory ordering for maximum savings. Ordering company vehicles from the factory (through a fleet provider) offer better pricing and other advantages, but it requires advance planning and limits your flexibility. This paper explains the many factors that should be considered when purchasing your fleet. two-way radio sales and service. Specialized vehicles require special care. When your upfitted vehicles require maintenance, we direct your drivers to the experts. We work with the original installer where necessary, to ensure that warranties are maintained and that the equipment continues to perform to spec. When it’s time to resell your specialized vehicles, we strive to get you the highest possible resale price, by placing the vehicles in specialty auctions, and using remarketing strategies that attract the right buyers.